So I was able to buy a Compaq 286 SLT Portable cheap. Problem is I have no ac adapter/PSU. My only way to power is by inserting it into the docking bay which came with it, which used a standard AC power cable. Whats strange is all the voltages DC are negative. I have never seen anything like that before. Plus the -7VDC voltages, shouldn't those be -5VDC, perhaps a regulator issue? Anyone have any ideas on this, something doesn't seem right about it. 1. Measurements made with the power supply unloaded may be invalid. 2. Note that 'ground' is not always a reference point for voltage measurements. For example, refer to the simple power supply at [here]; measurement of the +9V line would be done between the '+ 9V' pin and the '+ 9V return' pin. 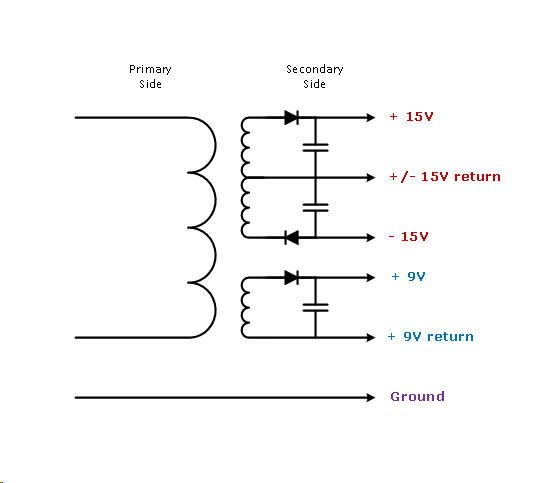 If that example power supply was then connected to equipment that bridged the 'ground' and '+ 9V return' pins, then (with the equipment connected) it would be valid to measure the '+ 9V' pin with respect to (in relation to) the 'ground' line. Hello, new user and I hope it's OK to resurrect this thread. I just finished restoring a Compaq SLT/286. I have an original working AC adapter that I (finally) just acquired. I'll take some readings when I get home to see if they match Tezza's results and will update this thread.